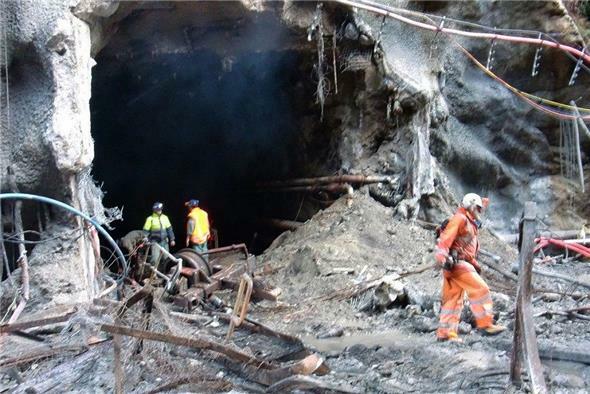 The early costs for planning an entry into the deeps of the damaged Pike River coal mine have raised some eyebrows. The Greymouth Star has revealed some of the experts flown into Greymouth last month for a planning week on the Pike River mine re-entry were paid just shy of $3000 a day. Reporter Laura Mills said technical advisers from 11 companies from around the world were brought together in late April to work out a viable entry plan for the 'drift' or access tunnel, as far as the rockfall which then blocks entry to the mine workings where the remains of 29 men killed in a major methane blast are thought to be. The tragic accident occurred in late 2010, and the mine never re-opened, the company Pike River Coal went into administration, the mine was acquired by Solid Energy but it decided to hand it back to the Government after considering there were too many risks for re-establishing mining or for body recoveries. The experts reportedly favour a re-entry in fresh air, with a man-sized borehole to be drilled from the surface to serve as an emergency escapeway. Responding to questions from the Greymouth Star, the Pike River Recovery Agency said the experts had been paid between $1,200 and $2,950 a day for their attendance at the four-day workshop. “It's worth noting the rates for offshore-based experts are subject to currency fluctuations," the agency claimed. Costs invoiced to the agency relate to professional fees. The agency also paid for domestic and international travel, accommodation and catering. The workshop involved 15 expert advisers in person, plus a professional facilitator, agency staff, Families Reference Group representatives, WorkSafe NZ, New Zealand Mines Rescue staff, and New Zealand Defence Force staff on secondment to assist. “This workshop and peer reviewing brought together world experts in underground mining and associated skills -- their knowledge and input has been essential in putting together our conceptual plan,” agency chief executive Dave Gawn said. 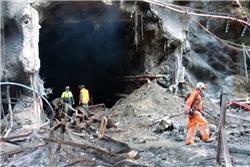 The ruined Pike River mine, as it looked several years ago.